An ancient “flying machine” (or parts thereof) reportedly were discovered in a cave in Afghanistan and retreived in 2012, and the news was immediately hushed. The hushed report of the ‘find’ did attracted the attention of world leaders including Barack Obama. 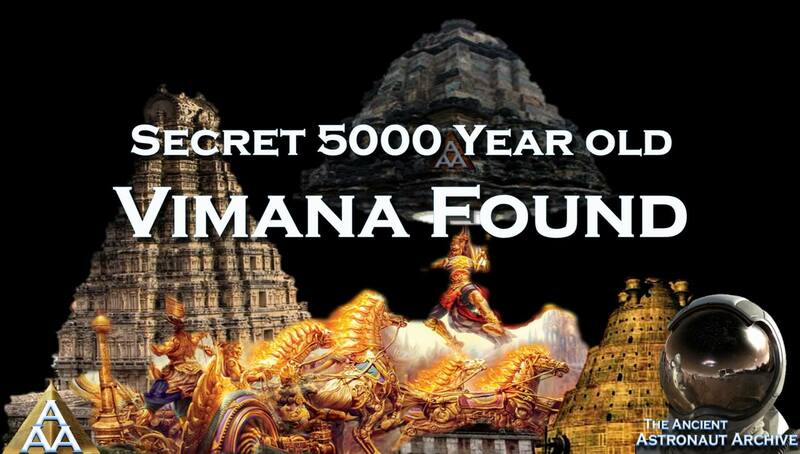 The Vimana (a flying machine often described in Sanskrit texts) was discovered by a group of 8 U.S. soldiers on a mission in the desert of Afghanistan. The 5,000 year old machine is believed to be protected by an energy barrier, preventing the troops from removing it from the cave. US Military scientists were deployed to Afghanistan to investigate the disappearance of the eight American soldiers (who were later found asleep after a hard day), and to get more information in what is causing the Vimana to be entrapped in what some are calling a “time well” in the cave. missiles’, The Mahabharata records the use of its other deadly weapons that operated via a circular ‘reflector’. When switched on, it produced a ‘shaft of light’ which, when focused on any target, immediately ‘consumed it with its power’. According to ancient writings found in the cave where the Vimana was discovered, the rightful owner of the flying machine was reportedly the ancient prophet Zoroaster who was the founder of Zoroastrianism. ANCIENT EXPLORERS, WHAT DO YOU BELIEVE WOULD HAVE POWERED THESE AWESOME MACHINES? SHARE WITH US SOME OF YOUR THOUGHTS. ANCIENT DEPICTION AS DISCOVERED AND DOCUMENTED BY RESEARCHERS: ARE THESE FLYING MACHINES…OR SOMETHING ELSE NOT AS YET DETERMINED?